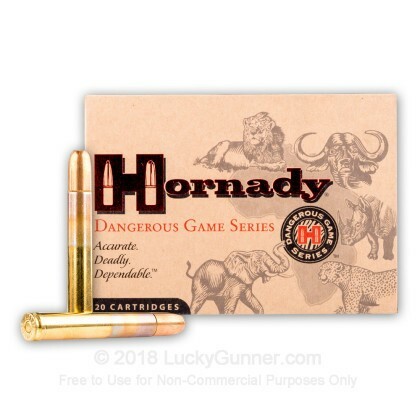 When you're after big game, you need to bring powerful ammunition like Hornady Dangerous Game loads. 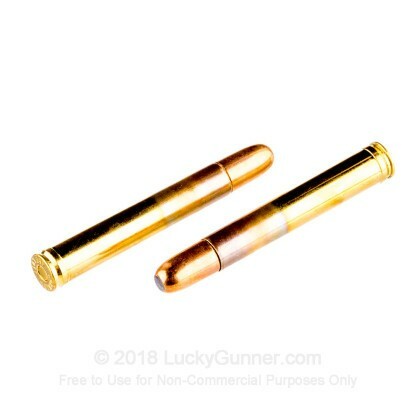 These .458 Lott cartridges fire DGX semi-jacketed soft point bullet that delivers massive expansion and penetration capable of bringing down bear, buffalo, and other tough quarry. 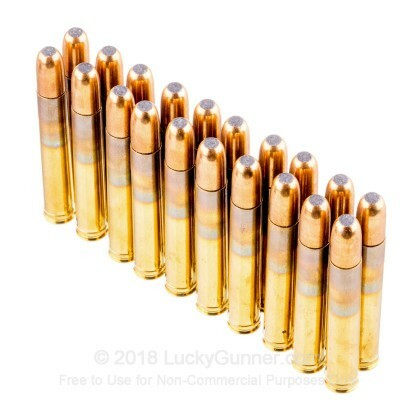 Each cartridge in this box of 20 propels a 500 grain version of the DGX to a muzzle velocity of 2,300 feet per second. 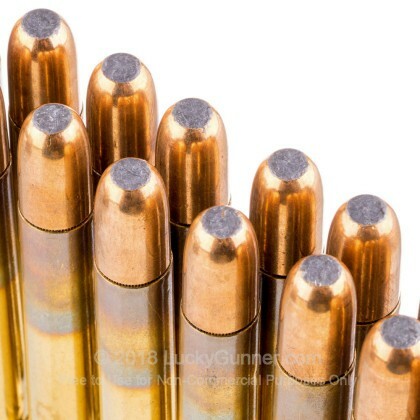 Hornady ammunition is made in Grand Island, Nebraska using non-corrosive Boxer primers and brass cases. 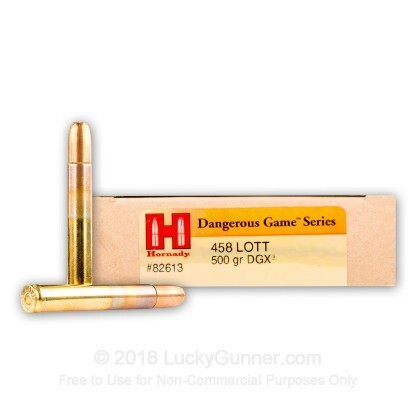 We don't have any reviews yet for this particular 458 Lott ammo from Hornady. 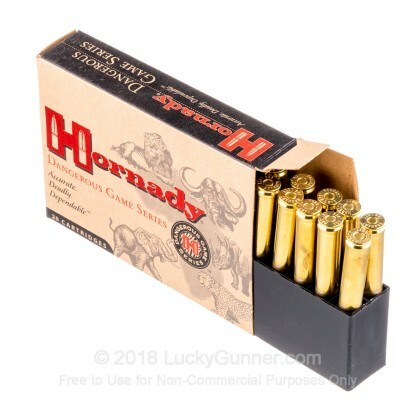 If you'd like to be the first to review this particular 458 Lott ammo from Hornady, fill out the form below.